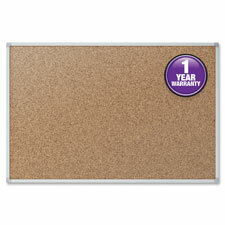 • Natural cork bulletin board with excellent pin-holding power. 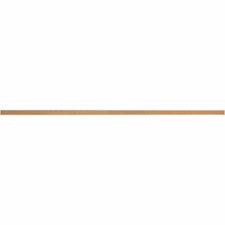 • Great for light-duty use, such as displaying learning materials in classrooms. Durable, natural-cork bulletin board with excellent pin-holding power and resealing properties secures classroom materials with push pins. Delivers effective performance in low-use active learning environments. Patented SureLock hanging system and kit included. Satin-finish wraparound frame construction. Modern, anodized aluminum frame complements contemporary classroom environments.